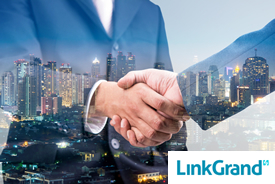 LinkGrand is an internet advertising agency that allows its members the ability to earn money for visiting websites and provides advertisers a quick and affordable way to promote their products and services. Users make money by clicking links, keywords, and banner advertisements from their Member Area. To become a member, click here . We currently have three advertising options for your business: Link Advertising, Banner Advertising, and Email Advertising .